Anderson, Jean. New. Trade paperback (US). Glued binding. 239 p. Contains: Illustrations, black & white, Illustrations, color. 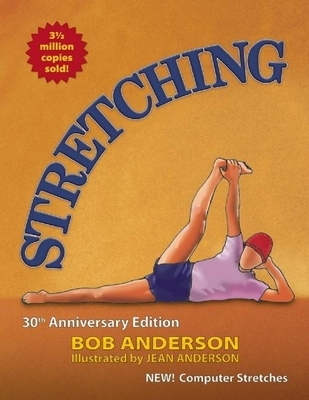 Thorough and extensive study of stretching techniques for all parts of the body. Relevant for all ages, professions and walks of life. Wonderful stretching exercises that make you feel revived and rejuvenated!!! Has exercises for every muscle in the body - you pick and choose. Good for target areas or to do all-over body stretch. Would highly recommend it.